"Readers who enjoy rich details of place will find Mootoo's writing about her settings to be luxuriant; we are especially treated to abundant descriptions of Trinidad. . . A] thoughtful exploration of place and identity." "Mootoo's character-driven novel is rich in setting and slow in pace, inviting the reader to linger over its closely observed details. " 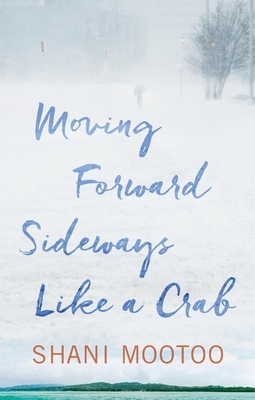 "Queer Canadian visual artist and writer Shani Mootoo's latest novel Moving Forward Sideways Like a Crab follows the journey of writer Jonathan as he searches for the mother who left when his parents divorced." "A powerfully moving tribute to the lasting power of storytelling and the surprising and unpredictable nature of human emotion. It's truly an excellent literary feat and a great story to get lost in "
Long-listed for Canada's Scotiabank Giller Prize. Short-listed for the Lambda Literary Award. "Mootoo has produced a stunning meditation on story. . . . This novel] portrays the beautiful (yet often tense) bond between a parent and child, the complexities of immigration, the fluidity of gender, and provides a juxtaposition between two extreme climates, Toronto and Trinidad. It is a gorgeously written novel." "A fascinating premise that gives voice to the queer-identified. . . . Mootoo's brilliant evocations of Trinidad's] paradisiacal glow . . . are a real gift to the reader." Shani Mootoo was born in Ireland and grew up in Trinidad. Her novels include Valmiki's Daughter, long-listed for the Scotiabank Giller Prize; He Drown She in the Sea, long-listed for the IMPAC Dublin Literary Award; and Cereus Blooms at Night. Mootoo divides her time between Grenada and Canada. Her latest novel, Moving Forward Sideways Like a Crab, was long-listed for the Scotiabank Giller Prize and short-listed for the Lambda Literary Award. Visit her website at shanimootoo.com.